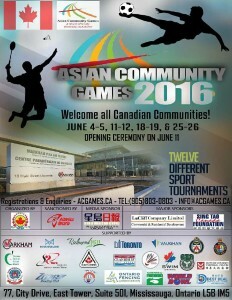 The 12th Asian Community Games will be held in coming June. The opening ceremony will be on June 11, 2016 at the Markham Pan Am Center. Mayor of Markham will deliver the opening speech on the day. All Canadians are welcome to participate in any of the sports events as well as the opening ceremony. One of the Raimondian, Mr. Peter C.H. 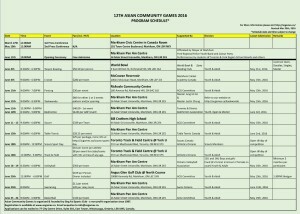 Lau, is the committee member of the Asian Community Games and the tournament manager for 10-pin bowling. 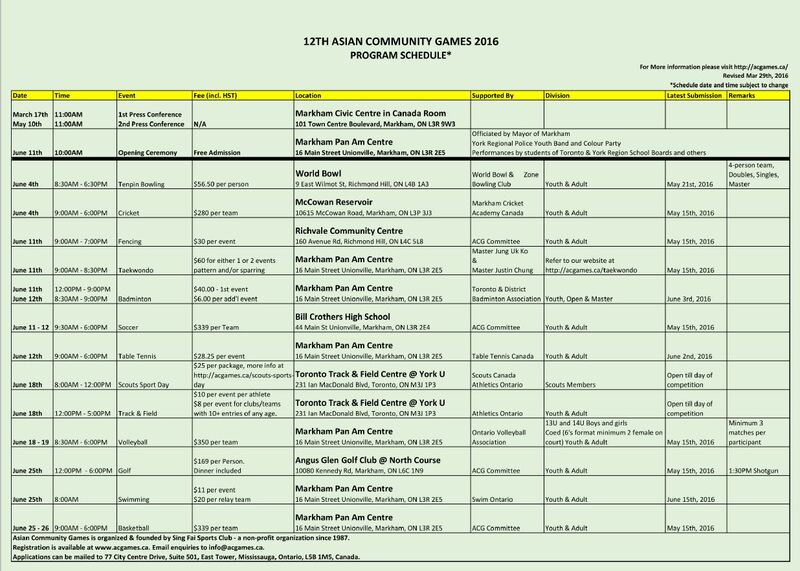 Attached is the flyer and schedule of the Asian Community Games for your reference. Your participation is greatly appreciated to help make us a better community in the area.